Change things up with these side-trips from Montevideo: Punta Ballena (Playa Solanas, Playa Punta Ballena, & more) and Museo - Taller de Casapueblo (in Punta del Este). There's much more to do: make a trip to Plaza Independencia, get the lay of the land with Walking tours, wander the streets of Ciudad Vieja, and admire the striking features of Palacio Salvo. 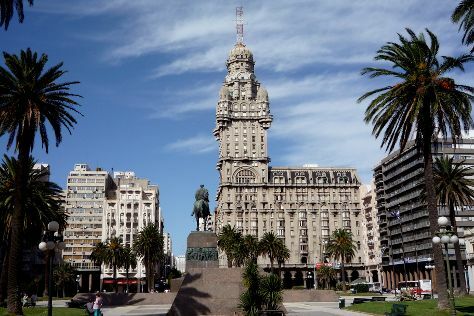 To find maps, where to stay, more things to do, and other tourist information, you can read our Montevideo trip builder . If you are flying in from Brazil, the closest major airports are Carrasco International /General C L Berisso Airport, Capitan Corbeta CA Curbelo International Airport and Laguna de Los Patos International Airport. In December, daily temperatures in Montevideo can reach 32°C, while at night they dip to 19°C. Finish your sightseeing early on the 9th (Mon) so you can travel back home.